I am so excited that our first Christmas in Daglan has started early with the village decorations. Santa caught in Medusa’s grip! It is actually a large tree at the front of La Petite Paris Restaurant with all of its branches cut off. They are cut every autumn and it works, the tree will grow excellent foliage next year. What a gorgeous tree, truly awesome. This was taken from our balcony last night; the decoration straggles the distance from our home to our neighbours over the road. Magnificent-covered in glitter, red and gold baubles and lights. Sarlat village de Noel, from the 5th December to the 31st December, which has an outdoor skating rink and up to fifty wooden chalets selling arts and crafts: chocolates, mulled wine, roast chestnuts, a house for Father Christmas and a giant advent calendar. St Cyprien on the 19th December has a Noel de la Mairie, which is a village pageant through the main street. Sarlat Truffle Festival starts on the 16th January to the 17th January at Place de La Liberté. Christmas in France really is an opportunity to celebrate the sentiment of vive la difference. The festive season does not start in August as it seems to in some UK stores but December and is less protracted than in England. It also seems to capture a traditional element which has not been seen in England for some time, with decorations, markets and community events throughout France, it is a special time to visit. The markets originated and developed as a source of ingredients for the cooks of rural France, who would spend much of the two weeks before Christmas preparing and baking typical local festive dishes for the Revellion, (Christmas Eve Feast). Today Christmas markets are loaded with atmosphere, with wonderful smells, sights and sounds combined to offer everything that one needs for Christmas. 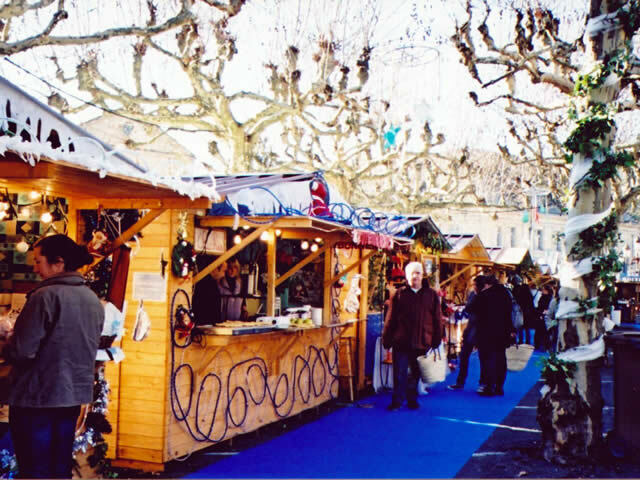 A very good example is Sarlat market which has forty two chalets, all decorated with lights, which are set up around an outdoor ice skating ring. 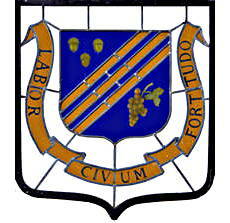 Selling fresh food; handcrafted gifts, cards, decorations, ornaments, clothes and mulled wine. 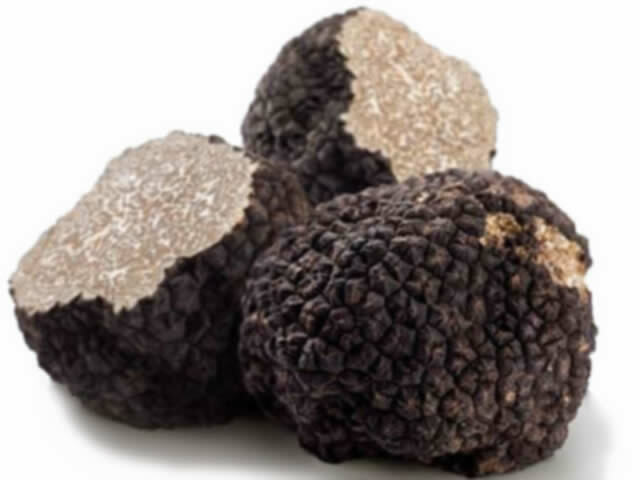 It is also the start of the winter truffle season with the truffle market being held in Sarlat every Saturday morning selling the famous black Perigordian Truffle. If you have never tasted the black truffle, try it you will be greatly surprised at the flavour. They look a little unappetising but if you put one with a few fresh eggs they will absorb the truffle aroma through their shells and make your omelettes divine, especially with small thin slices of truffle added on the top, delicious. Look for the smallest truffle to buy due to the fact that they can be extremely expensive, some are hundreds of euros each, while the small ones that we have bought are about ten to twenty euros each. Truffle season. Does not look great, but taste delicious.